Go shopping... with the Beatles! 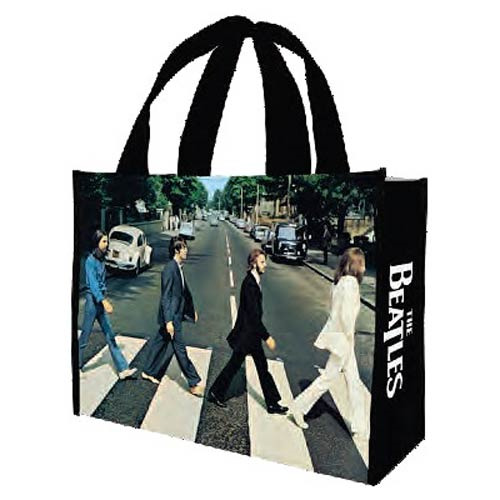 The Beatles Abbey Road Large Recycled Shopper Tote shows the album cover of the Beatles' hit Abbey Road, so you can look great while carrying around your groceries. Measures 15-inches tall x 14-inches wide x 4-inches long. Ages 12 and up. Made from polypropylene.